What did we learn from the British Grand Prix? McLaren Mercedes finally made it to the top step on the podium, but with the wrong driver in the seat! Instead of Kimi Raikkonen trouncing Renault’s Alonso, it was Juan-Pablo Montoya who outdragged the normally flawless starting Renault to take a lead he never really relinquished. Raikkonen did well to get to third, from his 12th slot starting position after being demoted for having changed another engine. Mercedes’ Norbert Haug was not happy and is critical of the one engine for two Grands Prix rule. Guess why! Unfortunately for Norbert, his seem to be the only hand-grenading engines at present. What else did we learn? Well, we learned that you can throw mega-millions at these cars but you can’t get round the human error factor! Takuma Sato’s BAR suffering from our Japanese hero driver pushing the wrong button (no pun intended) and shutting down the engine, and everything else on the way to the grid. The ‘real’ Button just slowly went backwards, despite the British TV director. Fastest race laps were interesting, with Raikkonen and Montoya the fastest from the two Renaults, with Fisi faster than Alonso. Fisi blotted his copy book (again), stalling in the pits when it looked as if he would catch Alonso. From Renault’s point of view, it was better for Alonso to be in front, so with team orders not allowed, perhaps Flavio Briatore had his finger on the ‘stall’ button again? We will never know! What else? Klien drives like a jack-rabbit, Karthikeyan stopped on lap 11 for a Lamb Vindaloo (the only retirement), Michael Schumacher is still one second off the pace, and the BMW Williams duo were almost three seconds slower than the McLarens. Ouch! The next GP is on the 24th July from Germany. Lexus has spent almost fifteen years to come from nowhere to be the top of the heap in the luxury class. Don’t believe me? Look up the J.D. Power surveys for the past few years. 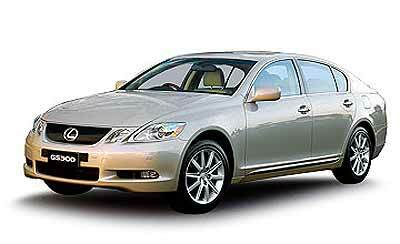 Lexus has been a regular recipient of quality and customer satisfaction awards from the J.D. Power and Associates analysts. In fact, in May 2003, Lexus scored its seventh successive Initial Quality awards and became the highest ranked Premium Luxury car in the US. The history is interesting. Toyota took the bull by the horns in the mid-1980’s. By 1983 Toyota had built up a name for solid, dependable motor vehicles, but they had nothing to challenge the upper echelon Mercedes-Benz or BMW. At a secret meeting of Toyota management, Eiji Toyoda proposed the building of a luxury car to rival the world’s best. This concept was called "Flagship 1" and was then known as "F1" to the inner circle. By July 1985 the first of 450 running prototypes was built. It represented the work of 60 designers, 24 engineering teams, 1,400 engineers, 2,300 technicians, and 220 support workers. It was four years later that the final product was shown at the motor shows in Detroit and Los Angeles, with the brand name "Lexus" and the designation LS 400, which stood for "Luxury Sedan" of 4 litres in capacity. LS 400 grew into LS 430, but by now I believe it needs replacing. The GS series is another model line-up and the new car does no longer look "Japanese", with a clean, classic new styling approach overseen by British designer Simon Humphries. In profile it even looks a little like the CLS Class Mercedes, which was, for my money, the car of the show at the Bangkok International Motor Show in March this year. The V6 is a new, 60-degree, all-alloy engine with plenty of design trickery including variable-timing inlet and exhaust camshafts as well as direct fuel injection. With a fairly high 11.5:1 compression ratio, the 3 litre engine delivers exceptional power and torque for its capacity; 183 kW and a quite astounding 310 Nm of torque. The concept of going to a bent six is also new, as up till now they had been persevering with in-line sixes in the GS series. The impressive V6 is attached to a six-speed automatic transmission developed by Lexus that gives the GS line its first sequential-shifting gearbox and replaces the old five-speed E-shift. Power is sent through to the rear wheels. Again this is the Lexus meeting the challenge issued by the BMW 5 Series. The suspension is all-new, with a multi-link arrangement replacing the double-wishbone setup used previously and matching the double wishbones at the front. Lexus says it’s a light weight system, with cast aluminium used for the suspension uprights, both at front and rear. Anti-Dive geometry is included in the new package. All this works in with a carefully thought-out underbody where the aerodynamics play a part in keeping the overall Cd figure to a low 0.27 while creating stability-inducing downforce at speed. Aerodynamics play a part in road-going cars these days, as well as in F1. According to testers Down-under, the Lexus handles impeccably too. The steering is nicely weighted and responds quickly to driver input, while the ride is firm and well controlled without being in the least bit harsh. It’s a well-sorted suspension package, although the tactility of any of the German opponents is missing. What buyers relate to in the GS300 is the exquisite quality, the generous standard equipment and the sense of complete refinement even in this supposedly driver-oriented model. However, the feeling that comes across is the total divorce of human from the road, a negative factor from the sporting motorist’s point of view. The tester’s final appraisal was that the GS is superb as far as styling, technology levels, safety features, comfort, refinement, build quality, cabin quietness, performance, engine smoothness, handling, and equipment levels are concerned, but from the sporty driver’s position, it lacks passion and aural excitement. 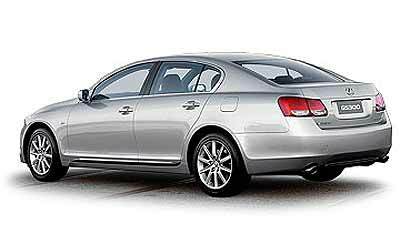 The new V6 GS300 will set you back 5.3 million in this country! A great car if you’ve got a chauffer. Last week, I asked which band leader drove for 52 hours straight to win a European rally, after his co-driver fell ill. The answer was Belgian Johnny Claes, winning the Liege-Rome-Liege for the second time in a Lancia Aurelia GT in 1953. So to this week. An easy one. Who made the first Jeeps, and what engine did they have? With GM having managed to increase sales by the simple expedient of slashing prices, it seems everyone now wants to jump on to the cut-price bandwagon. GM were offering a 15 percent "staff" discount which was enough to increase their sales numerically, by almost 50 percent, compared to June 2004. Interested watchers on the sidelines included Ford Motor Corporation, whose sales have not been filling the corporate coffers. In a classic example of a "me too" campaign, FoMoCo are offering the "Ford Family Plan," in which Ford will shave thousands of dollars off the sticker prices of most 2005 model vehicles, said company spokesman David Reuter. Again, in an exact copy of the GM plan, Ford will sell its vehicles to anybody at the same prices Ford employees pay. "It’s a great deal that we’re going to deliver in a simple, consistent way to customers," Reuter said. "We’re going to advertise this widely, in a huge significant way throughout the month." In yet another "me too", the Chrysler unit of DaimlerChrysler has brought out its own employee pricing program, showing perhaps it is the lack of original thought that has been putting Detroit in the doldrums for many months! Whatever, there will be some bargains for the next 30 days or so, until Detroit’s parking lots of unsold cars are cleared. Here is your opportunity to become an Eff Wun team owner! Take in millions of dollars from financially well heeled young drivers who will pay heavily to sit in your old outdated F1 cars and spend each lap looking in the rear vision mirrors! If you are really lucky, 14 cars might not start and you can actually win points in the championships, but you will have to say that you really didn’t want to race, but you had to, because four others were lining up. No, in the latest threat to F1, Minardi boss Paul Stoddart claims he will sell the Minardi team and quit F1 unless Max Mosley resigns as FIA president. Stoddart’s call is the just latest in his quest to get Mosley to relinquish his presidency in what has become a long-running feud between the two and which intensified following the United States GP tyre debacle. Of course this threat to F1 stability has about as much effect as slapping Max on the wrist twenty times with a wet train ticket. The garrulous Stoddart was reported talking to the "highly" regarded motor racing publication, the News of the World, which will publish anything about anything, as long as they can get a half naked girl in the story as well. "The teams have had a gutful of Max," he told News of the World. "Either he goes or F1 as we know it today will go. I think a breakaway series is guaranteed. It doesn’t matter who replaces him. He is so bad now that anyone could do it. If Max does not resign then I am not staying in F1. Life is too short to be involved in this political s**t. That’s it as far as I am concerned. I will finish this season off and see what happens. If Max stays, I am going to put the team up for sale." Paul, it can’t come quickly enough. You have become an embarrassment and have dragged the once proud name of Minardi down into the depths. One of the regular readers sent me the following email. "I stopped by the middle-size Kart track near the bungy jump on Thepprasit Rd., Soi 9 this morning. Here’s the straight scoop regarding the next scheduled race as posted on the bulletin board at the track: Organized Kart races are Saturday and Sunday, 16, 17 July 2005. About seven different classes from peewee kid’s in 60cc Karts to portly Farangs in 125cc Karts will be competing. Saturday is dedicated to regulated practice and qualifying trials. Sunday 7.20 a.m. there’s more practice until the first wheel-to-wheel heat scheduled for 9.20 a.m. Racing is scheduled all day Sunday in 5-15 lap heats with a break for lunch. The final round for all classes is scheduled for 3 p.m.
"Kart race organizers appear to have their act together with very professional organization and serious safety standards. For spectators, the entire track is visible from tables in the covered refreshment area, making for exciting and comfortable viewing. So there you are Go-Kart fans down on the Eastern Seaboard region, the action is this weekend. It is also a great track, so there should be plenty of action.